Knowing what is in a textbook is far from being a great trainer. The Fit-Pros Academy personal training school Online is all about a commitment to the process of learning. Exercising and having “BIG GUNS” is cool, but not going to create the revenue stream you desire. Taking clients from machine to machine in a one-size-fits-all environment is far from ‘PERSONALIZED-TRAINING”. Now don’t get mad at me! I am sure you have the potential to be dynamic, and motivating. I want you to be educated, and analytical outright intelligent, and intuitive! Got it? good! Exercising or passing a test does not make you a personal trainer any more than getting your driver’s license makes you a great driver! A “workout” means something different to each of us. Some feel that they don’t “get a good workout” unless their heart rate hits a specific range. Others measure a successful workout by sweat, a pump, and the sensation of a stretch, a burn, or following a workout routine from Muscle and Fitness, Shape, or Men’s Health magazine. So right from the start, we don’t all think or speak the same language. The above statements are based upon continual research by one man with 30 years of via objective evidence. We should be able to point out the objective truth, accept it, remedy it with the realization that it is not that other teaching professionals are wrong; it’s just maybe they are basing everything on the way an exercise feels. They also could be recommending exercises that worked for them. It’s about learning and understanding our shortcomings and solving them for the good of our clients. And unfortunately, many “certified personal trainers” have a tendency to think that those they follow are exempt and free of fault. Is it possible the just think they are an expert? This mindset can halter one’s ability to succeed in any business. We should never degrade any specific exercises or philosophies. 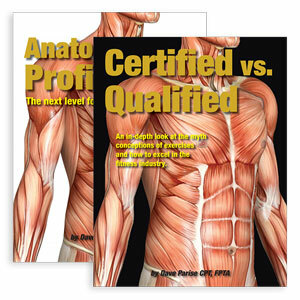 We analyze them all objectively… show and tell you the facts based on the way the body works… and then you decide! On day one, most of us learned exercises by memorizing a start position and a finish position. Progression of the exercise simply meant adding more weight. “Knowledge” was simply progressed by adding more exercises to one’s workout- memorizing more starts and finish positions. We even added little “over head twists and turns” (Arnold press) that were believed to generate magical results. (Sensation / perception) But memorizing exercises in a one-size-fits-all protocol is not progression or professional at all. It is simply repeating the same mindlessness exercises over and over with no real ability to objectively analyze what each exercise really is or what it is doing beyond the mythological gym-science that plagues the industry. It’s like “painting by numbers” and that’s hardly professional. Let’s not worry about “how often,” “how many reps,” or “how much,” we must LEARN HOW—how each exercise should be constructed. We as fitness professionals must assess our client’s active ability to move and how the force should be applied! That’s exercise mechanics! How long should I walk on the treadmill? Who cares, until you are walking correctly! How much weight should I use? It doesn’t matter if it’s not a structurally sound motion via specific finite function of the joint. With the appropriate application of force we can make the exercise more optimal. Today there are so many so-called experts. No one is an expert. I am not, nor are you, nor is the greatest bodybuilder in the world. Miss fitness not even close! “Monkey see monkey do” -that is why this personal training industry is getting a bad rap, and now state licensing is evolving. When you hear, read, see, feel, a new exercise or piece of equipment we must ask ourselves is it science or marketing? Does it have application with regard to the way the body functions? Can the exercise do harm over time? This is your platform by which your knowledge and becoming a requested trainer is developed! We don’t teach protocols based on marketing! We encourage you to think for yourself! We teach you how to make decisions! Textbook exercises can’t be memorized. Exercises demonstrated by a coach, or some famous body builder are not defined as ‘specific and finite.” Miss fitness age 23 and her genetically gifted body (Thanks Mom and Dad) worked hard, but did she work smart? Exercises have to be created, much in the same way an artist takes a few basic colors and creates a master piece on canvas. This is the way to be a requested professional. 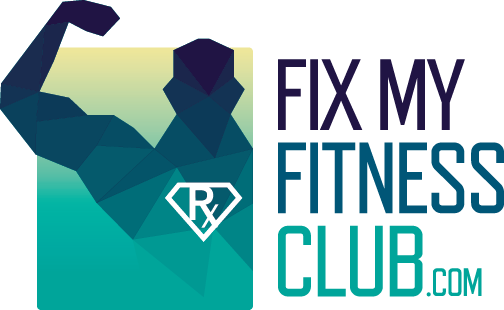 We all must understand a few basic principles about joint and muscle function. This application will allow you to create millions of sound exercises. But all exercises are not created equal. Creating an appropriate exercise is a matter for careful assessment and judgment. The “general gym members” go through life seeing only superficial various shapes of skin that move while holding a weight. But there is a hidden reality unseen by most people and some exercise “experts.” Exercise reality is below the skin where bones and tissue tolerate and generate invisible forces. These forces are really what encompass an exercise. This is what we must learn to understand in order to understand exercise and how to create and manipulate it. The primary concern of every trainer, must be “safety first”. Proper progression is a tough sell these days. Everybody has a wish to be able to order 5 lbs of muscle at a drive through window. As an industry, we must understand that the level of activity one does today should be entirely based upon what he/she is accustomed to doing. Progression should be implemented in the smallest possible increments, and this applies to all regions of the musculoskeletal system. We must allow for improvement in both tissue integrity and motor pattern performance. Keep in mind the different rates of adaptation for connective tissue and contractile tissue! That simply means do not overload a client. And above all, your active range should never exceed your resisted range. Just because you can rotate does not mean you load that rotation. Personally I dislike resisted rotations. If the client can’t control the exercise and it is still a challenge, adding more weight or resistance is inappropriate! Watching your client do more then 1 rep incorrectly is deemed dysfunctional and unprofessional! The brain needs a platform from which to exert knowledge, but first and foremost,we need to free the brain from all the myth-conceptions! That is why you are here ready to enter Fit-Pros Academy and be the best trainer you can be.